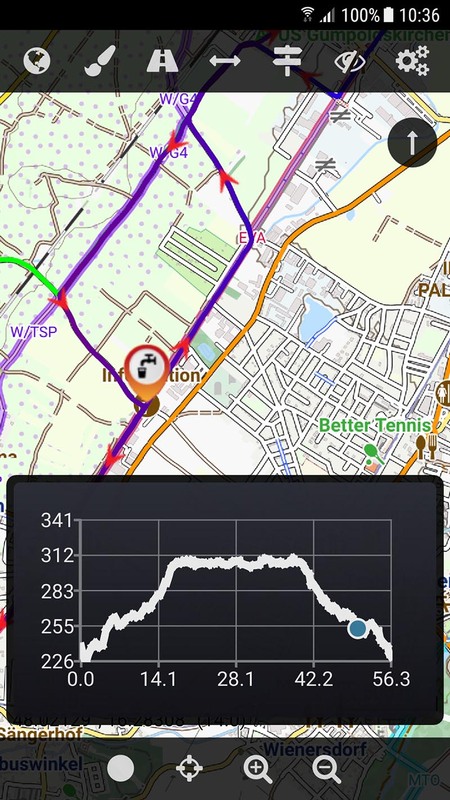 Cartograph is an online- and offline map viewing and track logging application running on Android, Apple iOS, Windows Phone 10, macOS, and Windows 10. 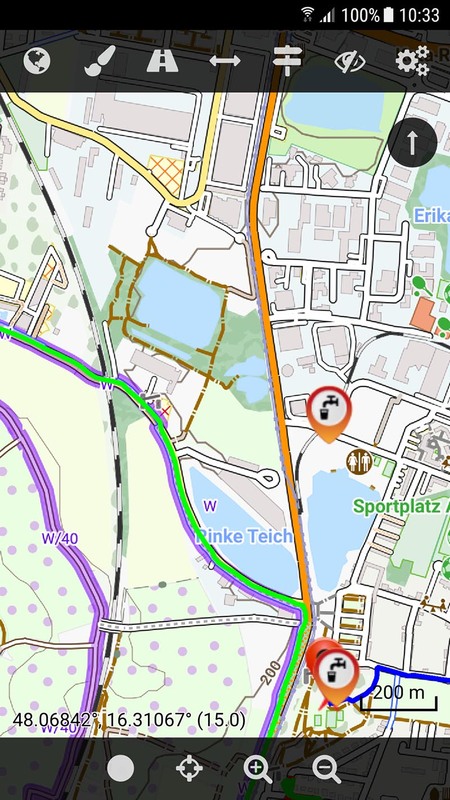 The app supports the popular Mapsforge offline map format, as well as raster maps (SQLite, RMap, MBTiles), slippy tile maps (for instance OpenStreetMap.org tile servers), ans wireless map services (WMS). 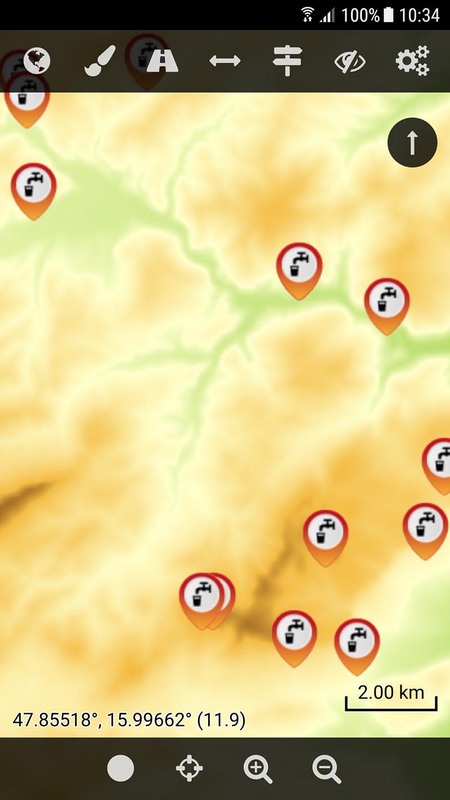 The Cartograph app supports the full Mapsforge offline vector map format including offline POIs, hillshading, renderthemes, multi-language maps, and layers. The Cartograph app generates offline hillshaded maps and relief maps on the fly using HGT/SRTM 1° or 3° elevation data. The data can be directly downloaded in the app, or manually imported from other sources. Route elevation can be visualized by means of color (blue to red gradient). A route elevation profile visualizes the route's profile and shows where you are at the moment. 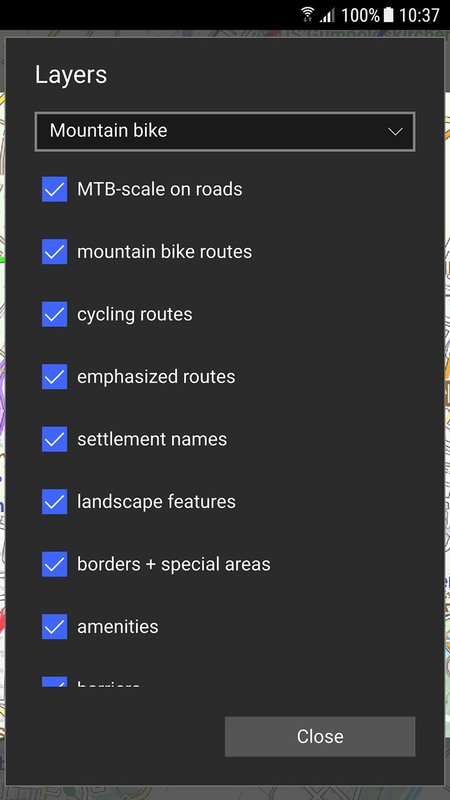 The app supports various maps including Mapsforge offline maps, offline raster maps (Locus SQLite, RMap, MBTiles), online slippy tile maps (OpenStreetMap.org, OpenCycleMap, OpenSeaMap, custom maps, etc. 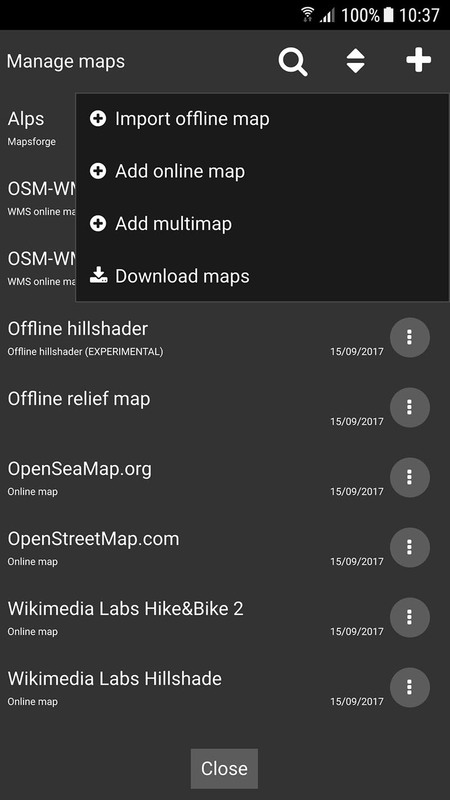 ), WMS (Web Map Service), offline hillshading, offline relief, and Mapsforge multi-maps (multiple maps stitched into a single map). Mapsforge render themes are a powerful means to control how the maps are rendered. The Cartograph app provides full support for the latest render theme format (including layers).